Over 1,400 Articles Posted! Nearly 140,000 People Downloading A Salvation Page Per Year! Codependency/Recovery Heresies is written for those who are suffering from the trials of life and for those who want to help. It is for those who are thinking about joining a recovery group or entering a treatment center for codependency or addiction. It is for those who have tried Twelve-Step programs and recovery treatment centers and found them lacking. It is also for those who are currently in such programs. 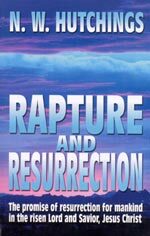 And, finally, it is to encourage Christians who offer such programs to return to the faith once delivered to the saints. 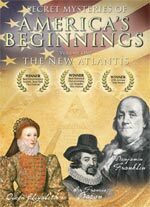 Award-Winning Video -- Volume One -- "The New Atlantis"
"Riddles In Stone: The Secret Architecture of Washington, D.C."
Testimonies of People Who Have Watched "Riddles In Stone"
Chapter Headings And Explanations of "Riddles In Stone: The Secret Architecture of Washington, D.C."
Also available in VHS --- SEE 14-MINUTE TRAILER!!! Most people have formed their opinion of Dr. Billy Graham through the few minutes they have seen him on TV during his Crusades. When I tell them that a far different Billy Graham emerges to anyone willing to do a minimal amount of journalistic research, I meet a stone wall of silence. However, there are two distinct Billy Grahams: 1) The public Graham visible preaching at the Crusades; 2) The Billy Graham visible away from the Crusades, either on TV in another venue or in his books. Hear the incredible TV quotes from Reverend Graham on this tape, quotes which you probably did not even know existed! You will be shocked to hear and see Dr. Graham saying all these totally unbiblical statements in front of the TV camera. We have always stated that the true genius of David Wegener of "Hope For America" is that he captures film clips which no one else even knew existed, and organizes them in a riveting video. 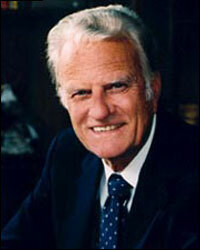 We strongly urge this video, which actually shows Billy Graham in his true spiritual light. I. War signs in the Middle East reached a new flash point yesterday, when the Bush Administration agreed to rush special advanced weaponry to the Lebanese Army, teetering under the fire of Hezbollah/Islamic militants, as the two sides battled for the fourth straight day. "For five days, Lebanese tanks and artillery have been pounding Fatah al-Islam gunmen barricaded in the Palestinian Nahr al-Bared refugee camp without achieving a breakthrough. The fighting has escalated dangerously following the infiltration of pro-Syrian reinforcements to the camp. They are led by members of the pro-Syrian Palestinian extremist Ahmed Jibril’s group, armed by Damascus and directed by Syrian military intelligence officers, who maintain a presence in North Lebanon." This next segment demonstrates both the success this group of Islamic fighters has experienced so far in this fighting, and the seriousness of the outcome. Notice that this Islamic unrest is already spreading southward, toward the Israeli border. We believe this whole battle scenario was designed, from the beginning, to prepare Hezbollah to make war on Israel without interference from either the Lebanese Army or the U.N. peacekeeping force. Israel understands this quite well, as this next segment illustrates. 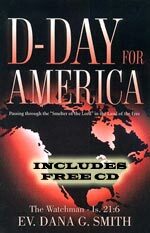 This segment is helpful, for it ties together all the groups we believe are working tightly together to prepare for a war against Israel: Hezbollah, Syria, and Iran. As we note below, this tight cooperation extends to both Hamas and to all Islamic militant groups in the region. The time has come for all such groups to begin cooperating instead of fighting one another, and to bind themselves together in terms of common tactics and military goals. This next breaking news story also illustrates that Hezbollah is most definitely involved in this battle. "Al Qaeda’s regional and Palestinian network has come to the surface under the pressure of the Fatah al-Islam-Lebanese showdown in the northern Lebanese Palestinian refugee camp. Hassan Nasrallah’s dramatic TV speech Friday night, May 25, confirmed that the Fatah al-Islam faction fighting in Lebanon is al Qaeda, at a time when the jihadists’ deepening involvement in the Palestinian cause is taboo for Israeli, Arab and Western spokesmen. Nasrallah bluntly urged the Lebanese army not to storm the Palestinian Nahr al-Bared refugee camp near Tripoli because that would entangle Lebanon in the US war on al Qaeda. The camp and Palestinian civilians would be a red line. 'We will not accept or provide cover or be partners in this', he said. 'The Iranian-Syrian-Hizballah alliance should support the Sunni group fighting in the Lebanese Palestinian camp, not oppose it'. " Another news story confirmed that the American sophisticated military hardware had, indeed, arrived in Beirut, Lebanon. We can only hope that this new equipment does turn the tide in favor of the Lebanese Army, because if it is neutralized, Hezbollah will be able to turn its full attention to the U.N. "Peacekeeping" Force patrolling the Lebanese/Israeli border. Such peacekeeping forces have been forced out from other countries before, so we should expect just such an effort now. And, make no mistake: if both the Lebanese Army and the U.N. Peacekeepers are neutralized, Hezbollah will be completely free to join Hamas in attacking Israel, from within and from without. What might this new, sophisticated hardware be? We will address this issue in a later news story about Iraq, below, but if America has just delivered the kind of weapon we are afraid they have delivered, the weak Lebanese Army might have just been given a reprieve. II. As Hamas continues to hit Israeli towns with Qassam/Kassam rocket attacks, we must remember that Hezbollah is preparing to join an all-out assault upon Israel; but, first, they must neutralize the Lebanese Army. None of these groups do anything independently of Iran and Syria. The success of these Islamic forces against a Lebanese Army equipped with tanks and artillery speaks to the fact that these fighters are well armed and well trained, certainly not a rag-tag group of normal terrorists. In other words, their success so far speaks to the probability that they were supplied and trained through Hezbollah, Syria, or Iran -- or a combination of all three. This is the reality of fighting in the Middle East today. "DAMASCUS - The last thing Lebanon needed was an internal war between its armed forces and clandestine cells with links to al-Qaeda ... The standoff between the March 14 Coalition and the Hezbollah-backed opposition continues, headed by US-backed Saad al-Hariri on one front and Hezbollah leader Hasan Nasrallah and his Christian ally Michel Aoun on the other ... The fighting in the refugee camp is some of the bloodiest internal feuding since the 1975-90 civil war and threatens Lebanon's delicate political fabric with disintegration." "Abssi has threatened to strike outside Tripoli if the Lebanese Army continues its offensive against him and Fatah al-Islam. The United Nations has warned that if this happens it would mean a complete breakdown in Lebanon ... Clearly a radical group like Fatah al-Islam makes the situation more complicated in the overall political situation in Lebanon, which is already on the verge of explosion ... But the Lebanese government and, particularly, its army and security forces are too weak to crack down on a bunch of terrorists on their own territory." Hamas' attacks continued, a constant bombardment since they began on May 14. "Warplanes pounded the Gaza Strip for a ninth day on Friday as Palestinians continued to fire rockets into Israel ... Israeli aircraft launched seven sorties overnight, striking buildings and posts operated by Islamist movement Hamas ... The Israeli air force also carried out a strike near the Gaza residence of Palestinian Prime Minister Ismail Haniyeh of Hamas on Friday, but insisted he was not the target." Israel had already announced that it was going to start again the controversial tactic known as "Targeted Assassinations" of Palestinian officials, as a means by which to counter this constant bombardment. Prime Minister Ariel Sharon had used this tactic very effectively during his tenure. Killing Palestinian leaders -- both politically and militarily -- weakened the Palestinians, as they simply could not easily replace the skills and knowledge of their slain leaders. It is a measure of the desperate attitude of Israeli officials that they would even reinstate such a killing policy. Notice, also, that Israel abruptly arrested exactly 33 Palestinian leaders and party members. Once again, that most important occult, Masonic number, keeps popping up in the day's news. Astute occult members throughout the world will take note of these type of numbers and take it to mean that the news story in which they appeared has occurred because it advances the coming of the Masonic Christ. At this point, perhaps it might be helpful to review the demonic vision of Albert Pike as it relates to the final world conflict (World War III), out of which the Masonic Christ will appear. Albert Pike received a demonic vision, described below. On January 22, 1870, Pike and one of his international co-conspirators, Guiseppe Mazzini, published the Plan which would establish the New World Order. 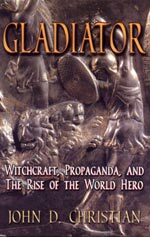 This Plan was kept very secret, only within Freemasonry circles since the time of its inception, known only to fellow occult Illuminist conspirators. (This information is taken from a book from a former Luciferian Illuminist, Doc Marquis. 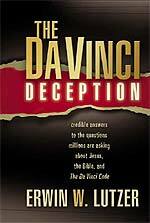 His book is "Secrets of the Illuminati" and reveals much formerly hidden detail known only to Illuminists). 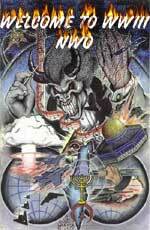 The secret Pike plan to control the world by establishing the New World Order foresaw the need for three WORLD wars. 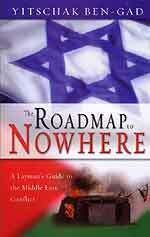 The Third World War was foreseen to begin between Judaism and Islam, and expand outward to engulf the whole world. 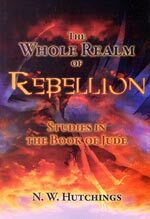 This prophecy is incredible in many ways, beginning with the understanding that this prophecy of a third world war occurred in 1870, a time when Israel did not exist as a nation, and when no one except Fundamentalist, Bible-believing Christians believed it would ever exist again. This current warfare we are describing here will be taken by a military analyst as a typical run-up to an all-out war. Hamas is attacking Israel daily with rockets and artillery, while Hezbollah is trying to neutralize Lebanon so she can freely attack Israel. Syria has moved Army units very close to the border with Lebanon and Israel, and Iranian trained and equipped Iraqi insurgents are daily bogging American forces further into the swamp called Iraq. We can only wait to see how matters will unfold, but it is conceivable that all Islamic forces could be ready to attack Israel on the 40th Anniversary of the Six-Day war (June 5-10, 1967). As we have noted in earlier communications, Israel is facing many thousands of rockets and missiles, capable of delivering traditional and non-traditional forms of ordinances. These are fearful times for tiny Israel. III. 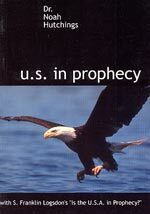 President Bush's war against Iraq continues to fulfill Bible prophecy. This next segment will truly shock and sadden you. First, let us list the prophecy which this particular current news story is fulfilling. Nevertheless, the new microwave weapon we are about to describe to you is certainly unparalleled in the annals of military weaponry. Leave it up to "Christian" America, led by a "Christian" president, to unleash this type of weapon upon a civilian population. In this most frightening article, below, note that the Iraqi eye-witness was Majid al-Ghazali, who is not just an engineer, but a classical violinist with the Baghdad Symphony. His name pops up on a White House website on a "Voices of Freedom" page, talking about the importance of the Iraqi elections. al-Ghazal was said to have the desire to "set up children's music school in Iraq". Therefore, it is ironic that the man whom the White House lists as an enthusiast for the American election sham, and is most definitely a trained professional in his field, is now the primary witness to this horrible new weapon. 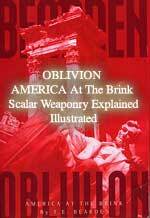 "A nightmarish US super weapon reportedly was employed by American ground forces during chaotic street fighting in Baghdad. The secret tank-mounted weapon was witnessed in all its frightening power by Majid al-Ghazali, a seasoned Iraqi infantryman who described the device and its gruesome effects as unlike anything he had ever encountered in his lengthy military service. The disturbing revelation is yet another piece of cinematic evidence brought back from postwar Iraq by intrepid filmmaker Patrick Dillon." "... nothing in his extensive combat experience prepared him for the shock of what he saw in Baghdad on April 12th. On that date, al-Ghazali and his family sheltered in their house as a fierce street battle erupted in his neighborhood. In the midst of the fighting, he noticed that the Americans had called up an oddly configured tank. Then to his amazement the tank suddenly let loose a blinding stream of what seemed like fire and lightning, engulfing a large passenger bus and three automobiles. Within seconds the bus had become semi-molten, sagging 'like a wet rag' as he put it. He said the bus rapidly melted under this withering blast, shrinking until it was a twisted blob about the dimensions of a VW bug. As if that were not bizarre enough, al-Ghazali explicitly describes seeing numerous human bodies shriveled to the size of newborn babies. By the time local street fighting ended that day, he estimates between 500 and 600 soldiers and civilians had been cooked alive as a result of the mysterious tank-mounted device." This weapon sounds very much like the "microwave weapon" which American military researchers were working on prior to the Iraqi War. In fact, one of the earlier articles about this new weapon said that one of the problems researchers were encountering was that the microwave weapon was very large, and cumbersome; it then makes a lot of sense that this microwave weapon was mounted on "an oddly configured tank"
As you read this article, you will realize that the occupants in this tank were wielding a weapon of fearsome capability. "In a city littered everywhere with burned-out civilian and military vehicles, US forces were abnormally scrupulous about immediately detailing bulldozers and shovel crews to the job of burying the grim wreckage. Nevertheless, telltale remnants remained as Dillon found when al-Ghazali later took him to the site. Dillon said they easily uncovered large puddles of resolidified metal and mounds of weird fibrous material that, al-Ghazali explained, were all that remained of the vehicles' tires. Dillon, who accumulated plenty of battlefield experience as a medic in Viet-Nam, and has since covered a number of wars from Somalia to Kosovo, told me that he has witnessed every kind of conventional ordnance that can be used on humans and vehicles. 'I've seen a freaking smorgasbord of destruction in my life', he said, 'flame-throwers, napalm, white phosphorous, thermite, you name it. I know of nothing short of an H-bomb that conceivably might cause a bus to instantly liquefy or that can flash broil a human body down to the size of an infant. 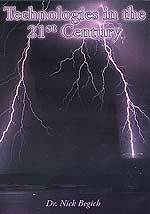 God pity humanity if that thing is a preview of what's in store for the 21st century." Cutting Edge has been following this subject of microwave weaponry for some now. In February, 2002, we posted an article in which we described some of the exotic, cutting edge weaponry on which the American military was working. One of these weapons included Microwave Technology. Quoting from NEWS1767, we learn that Pentagon planners were anxious to experiment with this new microwave technology in Iraq. "It substitutes pure energy for munitions. It is designed to achieve military objectives without killing people or wrecking buildings. And Saddam Hussein's armed forces may be chosen as the first target of the U.S. military's new secret weapon. The U.S. Air Force is developing a high-power microwave, or HPM, weapon that generates a massive electromagnetic pulse capable of frying the insides of digital electronic systems, disabling enemy military equipment ... 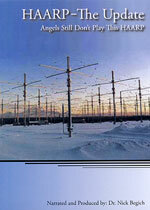 The virtue of high-power microwave weapons is that they can shut down virtually any military electronics system ... These weapons could be used to disable enemy command and control centers, communications facilities, air defense radars, chemical or biological weapons storage or production sites, and sophisticated vehicles, missiles and aircraft ..."
I always wondered how such a powerful electromagnetic ray could wreak such damage on systems and machines, and yet leave human beings unscathed. Given my experience in Army Intelligence, I suspected we were being lied to on this issue, and surely enough, now we learn that humans are not only killed by this weapon, but their bodies are being reduced to the size of babies and buses are reduced to the size of a small car! Truly, America is delivering God's judgment upon this people of Iraq, who are the direct descendents of the Babylonians in Old Testament times. President Bush is, indeed, delivering "unprecedented warfare" upon the heads of these people. But, you must understand "God's Pattern of Judgment" (NEWS1787). To understand the danger we are in if God has chosen us to be His hammer of judgment against Iraq, you have to understand the pattern of judgment as revealed in the Old Testament. On numerous occasions, God used a more wicked nation as His physical arm of judgment against Israel; but then, in every case, once God had delivered his judgment against Israel, He then turned around and destroyed the nation He had just used against Israel. Bible scholars call this His "Pattern of Judgment". Therefore, if America is being used to deliver God's judgment upon Iraq, He will then turn around and bring us into physical judgment. This type of inhuman behavior on the part of our Skull & Bones President and his entire military/political apparatus may be delivering God's prophesied End of the Age judgment of Isaiah 13, but all these leaders will still stand in front of the White Throne Judgment bar to receive eternal punishment for the genocide they are waging in Iraq. And, America will suffer annihilating physical judgment because her elected leaders carried out this judgment -- just as "U.S. In Prophecy" reveals. Now, let us return to the subject of the "special advanced weaponry" which the United States has rushed to the Lebanese Army. I wonder if this weaponry includes this microwave firing "oddly configured tank" shooting this deadly electromagnetic beam? This weapon is the kind which could bring victory to the weakened Lebanese Army against these Islamic militants. Truly, America is going to deserve God's physical judgment when it strikes. IV. Speaking of unprecedented warfare being waged against the people of Iraq, let us examine one particularly poignant story from this past week. You will want to cry. I will never forget the stark warning from Democrat Senator Robert Byrd just one day before Coalition Forces crossed the border of Iraq. We covered his quotes in NEWS1890b, "BUSH/BLAIR JUSTIFICATION OF IRAQ INVASION: NOW PROVEN TO BE LIES, DISTORTIONS, EXAGGERATIONS! 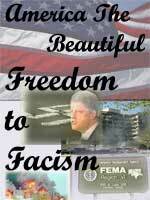 Part 2 of 2"
"Today I weep for my country," said West Virginia Democratic Sen. Robert Byrd. "No more is the image of America one of strong, yet benevolent peacekeeper. ... Around the globe, our friends mistrust us, our word is disputed, our intentions are questioned ... The case this administration tries to make to justify its fixation with war is tainted by charges of falsified documents and circumstantial evidence', Byrd said. Despite administration suggestions to the contrary, Byrd said, 'There is no credible information to connect Saddam Hussein to 9/11'." No longer can people say they did not know the truth before Bush's invasion of 3/20/2003! Not only did career diplomat John Kiesling tell us flatly that this war was not justified, but now 33° Freemason, Senator Robert Byrd, D-WV, told us firmly and without equivocation that this war is unjustified. Byrd recognized the charges circulating that the carefully constructed case justifying our invasion created by Bush-Powell-Rumsfeld-Blair was built upon 'charges of falsified documents and circumstantial evidence'. Had Byrd not believed these charges, he would not have made this speech at the eve of the invasion! Now, let get back to our featured current news article, above. "Take a look at what a man with the perspective of a half-century in the Senate has to say about the worst president in our country's history ... 'Here we are once again -- déjà vu -- debating supplemental funding for the President's disastrous misadventure in Iraq. Now in its fifth year of occupation, the U.S. death toll in Iraq is over 3,380. What a shame, shame, shame. The death toll of innocent Iraqis is largely unknown, but it probably numbers in the tens of thousands'." Let us interject here. The unofficial Iraqi death toll stands now at the monumental figure of 655,000! Keep this awful figure in mind as Senator Byrd continues with his speech of May 17, 2007. "This President -- our President -- has a single-minded obsession with Iraq, and he appears to see no value in anything except continuing his chaotic 'mission impossible' ... Mr. Bush's war is turning the sands of Iraq blood red." Now that you see that the civilian death toll stands at 655,000, can you see how red the sands of Iraq truly are turning red? We encourage you to read Byrd's speech in its entirety, for he raises the ridiculous issue of President Bush being worried about Congress violating his President mandate under the Constitution. Time and space does not permit me to list this portion of the Senator's speech, but as he says, "Mr. Bush raises constitutional concerns in his latest veto threat. I don't know whether to laugh or to cry." This is good reading, and we encourage you to read it all the way through. 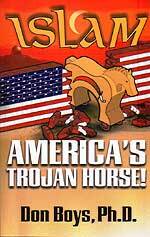 V. Americans finally ARE beginning to wake up to the reality of this planned lost war. "Americans now view the war in Iraq more negatively than at any time since the war began, according to the latest New York Times/CBS News poll. Six in 10 Americans say the U.S. should have stayed out of Iraq and more than three in four say things are going badly there -- including nearly half who say things are going very badly, the poll found .... President Bush's approval ratings remain near the lowest of his more than six years in office. Thirty percent approve of the job he's doing overall, while 63 percent disapprove. The majority of those polled disapprove of Bush's handling of the situation in Iraq, foreign policy, immigration, the economy and the campaign against terrorism. " "More Americans -- 72 percent -- now say that "generally things in the country are seriously off on the wrong track" than at any time since The Times/CBS News poll began asking the question in 1983. The figure had been in the high 60s earlier this year. The poll made clear that the war continues to be the issue Americans are most worried about ... A majority of the public, 76 percent, including a majority of Republicans, says the additional troops sent to Iraq this year by Bush have either had no impact or are making things worse in Iraq..."
Even a retired general got in on the act of criticizing President Bush for the war. "The commander who led the Iraq war for more than a year after Baghdad's fall says the best outcome America can hope for now is to 'stave off defeat'." That is a very bleak assessment by a top-line general, and has got to carry a great deal of weight with the average American citizen. 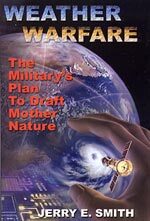 As Cutting Edge has been saying for a very long time, the Illuminati plan is to thoroughly discredit President Bush through this war and the World War III it is going to spark. That plan is several years in its active implementation, but the worst is yet to come. Something very bleak and bad is going to occur which will spur nearly everyone to demand that President Bush be impeached! This next story may well turn out to be just that kind of military disaster. VI. Nine American naval warships passed into the Persian Gulf through the Strait of Hormuz, dramatically raising tensions throughout the entire region! 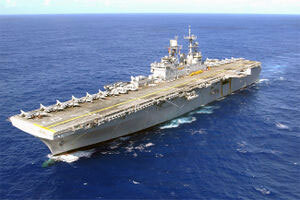 "They sailed through the Strait of Hormuz by day - according to US Navy officials for training exercises. The vessels carry around 17,000 combat and marine personnel. They include the two aircraft carriers, USS Nimitz and USS Stennis, as well as the USS Bonhomme Richard LHD 6 Group, the world’s biggest amphibious strike force. Iran was not notified of the planned arrival." The movement of this type of naval force into the small Persian Gulf represents a dramatic escalation in Middle East tensions. These ships had been sailing in the Arabian Sea, which borders a small portion of Iran. However, by moving these ships into the Persian Gulf, a much larger portion of the Iranian coastland is within the guns, missiles, and airplanes of the American navy. Furthermore -- and most importantly -- among the nine naval vessels which moved into the Persian Gulf was the "USS Bonhomme Richard LHD 6 Group, the world’s biggest amphibious strike force". By including this amphibious landing vessel in the mix of the nine ships going into the Persian Gulf, the Bush Administration is signaling that they just might land an invading force on the shores of Iran! As you can see from this picture, this amphibious landing craft is also a small aircraft carrier! During the initial phase of "Operation Iraqi Freedom", this ship off-loaded more than 1,000 fully equipped American Marines into Kuwait. This next segment demonstrates that President Bush was sending a political signal to Iran by ordering these ships into the small Persian Gulf. Perhaps this movement of such a powerful force occurred because Vice President Cheney promised such a military move to these Gulf States rulers. We have previously reported that Gulf States rulers are very, very nervous these days because they perceive that America is losing the Iraqi War and that Iran is being allowed to become the strongest Islamic military power in the Middle East. Bush's foreign policy has driven Iran into the arms of the Russians (NEWS2014), while Russia has enthusiastically responded by investing billions of dollars worth of the most advanced weaponry in the world into Iran. 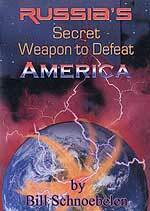 NOTE: Scalar Weaponry is also the subject of this DVD to the left, "Russia's Secret Weapon To Defeat America", one of our most popular videos ever! This weaponry is vastly superior to anything America possesses and can be used both in defensive mode and offensive. Scalar can erect a dome above and around the target area, preventing anything and everything from penetrating. Scalar can also deliver atomic-force explosions anywhere on earth at the speed of light. "... defense analysts agree that the U.S. is fully a decade behind Russia in high-speed cruise missile designs. Russia currently deploys and exports the supersonic SS-N-22 Moskit cruise missile, NATO codenamed 'Sunburn'. The SS-N-22 is considered the most lethal anti-ship missile in the world, and flies at over 2.5 times the speed of sound only a few feet from the surface of the water'." [This speed amounts to almost 1,700 miles per hour, or 28 miles per minute]." The Sunburn Missile is deployed all along the Iranian coasts facing the Persian Gulf. Therefore, all our ships in the Persian Gulf face annihilation from this 1,700 miles-per-hour antiship missile. The danger becomes even more acute when you realize that a Sunburn missile can be fitted with a nuclear warhead which could explode high over the fleet, killing most of the ships in one blow. President Bush has concentrated a lot of naval ships in a very small body of water, facing this type of lethal anti-ship weapon. 3) Chinese "Silkworm" anti-ship missile. Iranian small missile boats are equipped with this missile. Since the American naval radar system is virtually "blind" in close, these small, maneuverable missile boats pose a huge problem. Did you know that our ships are very vulnerable in close quarters? We posted a shocking article on this weakness about two years ago. This article is NEWS2026, and is entitled, "16 U.S. NAVAL SHIPS AT THE BOTTOM OF THE PERSIAN GULF! INCLUDES ONE AIRCRAFT CARRIER DESTROYED -- Recent War Games Disaster". The American commander leading the enemy team during this exercise knew exactly which weakness he had to exploit. "Instead of trying to compete directly with Force Blue, he utilized ingenious low-tech alternatives. Crucially, he prevented the stronger US force from eavesdropping on his communications by foregoing the use of radio transmissions. Van Riper relied on couriers instead to stay in touch with his field officers ... At every turn, the wily Van Riper did the unexpected. And in the process he managed to achieve an asymmetric advantage ... Astutely and very covertly, Van Riper armed his civilian marine craft and deployed them near the US fleet, which never expected an attack from small pleasure boats ... Force Red's prop-driven aircraft suddenly were swarming around the US warships, making Kamikaze dives. Some of the pleasure boats made suicide attacks. Others fired Silkworm cruise missiles from close range, and sunk a carrier, the largest ship in the US fleet, along with two helicopter-carriers loaded with marines ... the Navy was unprepared. When it was over, most of the US fleet had been destroyed. Sixteen US warships lay on the bottom, and the rest were in disarray. Thousands of American sailors were dead, dying, or wounded." But, you ask, how could these small speed boats get so close to American ships and stay there, firing deadly volleys into the hulls, sinking 16 naval ships and killing thousands of sailors? The answer is at once profound and troubling. The first problem is that the Navy has heavily invested in equipment which does not work effectively in close-in places like the Persian Gulf. In other words, our Navy was created, and equipped, to fight a blue-water enemy out in the open ocean, and is very vulnerable to a determined close-in enemy using unconventional tactics. In other words, the vaunted Aegis Cruiser radar system was designed to fight the Russian Navy in large, open seas, in an "over-the-horizon" manner. Conversely, our navy's radar system is not designed to track and destroy close-in naval boats. Of course, the Iranian Navy has many such small speed boats, many of which are equipped with Chinese Silkworm missiles. When a military force is facing such a deadly threat as the Russian and Chinese supplied Iranian military, the wise course of action is to disperse your force. But, the Bush Administration has now taken the opposite course, of concentrating their forces in the "bath tub" called the Persian Gulf. If a battle with the Iranians produces anywhere near the kind of disaster of the 2005 War Games, President Bush would be impeached in a heartbeat! Let us hope and pray that the U.S. Navy rushed special radar systems into place after the War Games, systems which will allow American forces to keep track of close-in enemy ships and boats. If no such modifications have been made, then our forces are uniquely vulnerable. Even if such modifications have been made, our naval ships are very vulnerable to the Russian Sunburn hypersonic missile, which the Iranians have deployed all along their Persian Gulf coast. These are truly troubling times, and times which may produce that World War III, out of which Antichrist is planned to come. The world is speeding daily toward this rendezvous with destiny. Are you spiritually ready? * "Did President Bush Order The Invasion of Iraq -- In Part -- In Order To Defeat Iran's Enemies For Her?" Most of the Islamic world believes that President Bush ordered the invasion of Iraq in order to take down Israel's deadly and persistent enemy, Iraq. Now, the same question is being asked about Iran. Despite Bush's public war-rhetoric over the past 4 years against Iran, no attack has materialized. Is America silently working on Iran's behalf? Russian Intelligence certainly seems to think so. * "The Reverend Billy Graham WAS Warned Repeatedly Against His Modernist, Ecumenical Activities"
When Cutting Edge broke the story that Mr. Graham was a Freemason, many people wrote us, asking us if we had contacted him. Since we could not actually get in touch with Graham, we wrote to his organization, the BGEA. Pastor David Cloud recounts the same experience, but then tells of the many devout Fundamental Christian leaders who warned Mr. Graham as far back as the early 1950's. Do not be deceived -- Reverend Graham embarked on his apostate, ecumenical ways with "eyes wide open". He knew exactly that he was leading people by the millions into the camp of the "enemy of our souls"! * "Global Genocide To "Save The Planet" Is Now Being Actively Promoted. Official Government Policy Matching This Harsh Rhetoric Will Soon Become Known"
* "THE TREASURES OF DARKNESS"
Believer, here is a sorrowful truth! Thou art the beloved of the Lord, redeemed by blood, called by grace, preserved in Christ Jesus, accepted in the Beloved, on thy way to heaven, and yet, "thou hast dealt treacherously" with God, thy best friend; treacherously with Jesus, whose thou art; treacherously with the Holy Spirit, by whom thou hast been quickened unto life eternal! How treacherous you have been in the matter of vows and promises. Do you remember the love of your espousals, that happy time--the springtide of your spiritual life? Oh, how closely did you cling to your Master then! saying, "He shall never charge me with indifference; my feet shall never grow slow in the way of His service; I will not suffer my heart to wander after other loves; in Him is every store of sweetness ineffable. I give all up for my Lord Jesus' sake." Has it been so? Alas! if conscience speak, it will say, "He who promised so well has performed most ill. 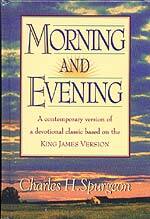 Prayer has oftentimes been slurred--it has been short, but not sweet; brief, but not fervent. Communion with Christ has been forgotten. 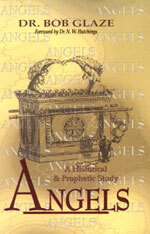 Instead of a heavenly mind, there have been carnal cares, worldly vanities and thoughts of evil. Instead of service, there has been disobedience; instead of fervency, lukewarmness; instead of patience, petulance; instead of faith, confidence in an arm of flesh; and as a soldier of the cross there has been cowardice, disobedience, and desertion, to a very shameful degree." Treachery to Jesus! what words shall be used in denouncing it? Words little avail: let our penitent thoughts execrate the sin which is so surely in us. Treacherous to Thy wounds, O Jesus! Forgive us, and let us not sin again! How shameful to be treacherous to Him who never forgets us, but who this day stands with our names engraven on His breastplate before the eternal throne. 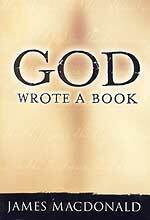 The Bible is the most important book ever written. Where did it come from and why can we trust it? At this time of unparalleled attacks on Scripture, Mr. James McDonald offers many and detailed reasons for our faith. Millions have been mesmerized by the stories of this wizard-in-training, but questions must be asked. Does Harry offer any positive moral lessons for today’s children? How do these tales compare to those written by C.S.Lewis or J.R.R Tolkein?